Charlie Ward is a writer and historian, based in Darwin. He worked in the Gurindji communities of Kalkaringi and Daguragu between 2004 and 2006 and then as a researcher with the Stolen Generations' Link-up program in Alice Springs. 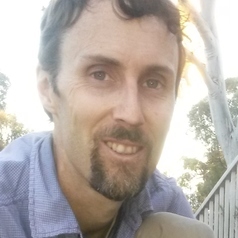 Now an oral history interviewer with the National Library of Australia, as well as a PhD candidate at Western Sydney University, Charlie’s work has appeared in journals including Griffith Review, Meanjin and Southerly.